WIP - Teaser - Sneak peek.. you'll see there is a lot done already, the path is long and I've been with this skin last 6 months or so, but there is still too much to be done yet that I can't help but feel it's still a long way to go.. Anyway, I do think it's also a proper time to make it public somehow so I can get some feedback before going on. My list of To-do and ideas is reaching 25 items already (raging from simple bigger notifier to a whole new implementation of features), I'll post it at some point if there is some interest. Hope you like it and have enough patience for it =). Comments and observations are more than welcome. PS: Sorry for the big images, please drag it to a new tab to see it completely or go to Right click > View image. and I think most know I'm not too keen on modern skins, so praise where praise is due! I am not too keen on touchscreens but I want to buy one just so I can play with this! Exactly, main intention is to solve the microscopic buttons & texts on higher resolutions while maintaining some familiarity with the use of Bento structure*, along the way, touchscreen input is improved too. 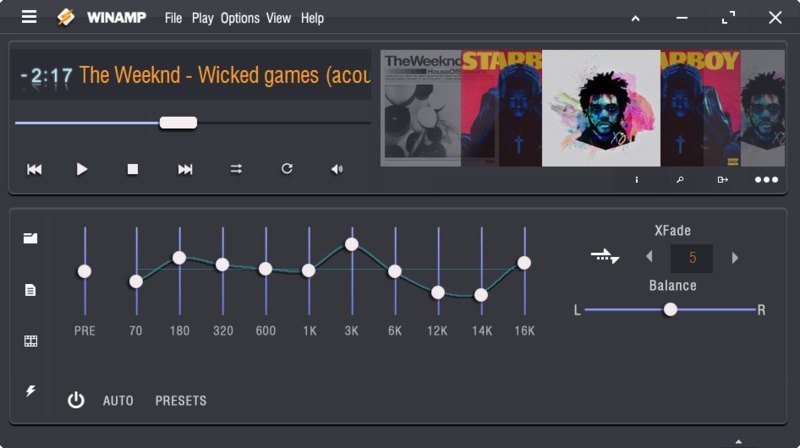 *When going so far (some objects are 3 times bigger), is inevitable to need some adjusting on main layout, that's why horizontal tabs went vertical, and EQ and Skin config are on the main area, among other changes. Holy balls, this is amazing! This looks great! I recently got a new laptop (Surface Book) and I have it driving a large 4k monitor, so I've been using the modern skin and scaling, but I would use this in a heartbeat. 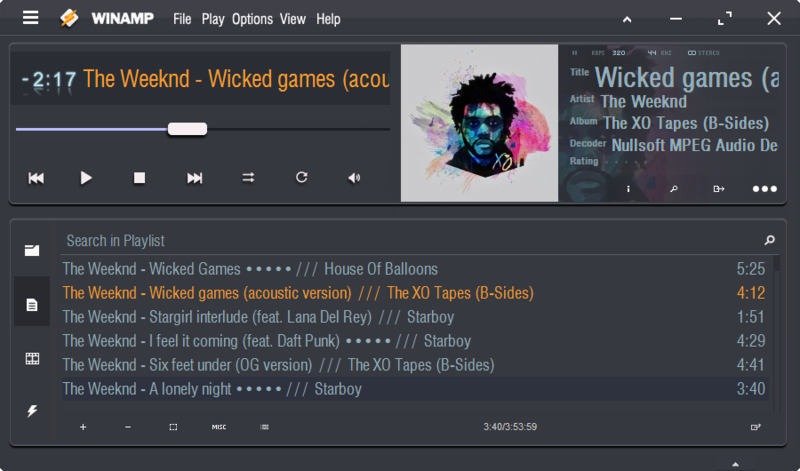 Actually I never thought about Winamp Modern skin, maybe I'll give it a go in the future..
And those screenshots are not mockups, those are actual working skins, that's why it took me so long! (on the 4th version there are billions of little invisible changes made on the scripts to change proportions). Good job, Vic! Carry on. Thanks a lot for the kind comments, I'm currently on vacations so I'm not really working on it. But next week routine gets back on track (mostly, still have some relatives staying at home for another week) so I'll try to do some more work and have some progress to show. Looks really great. Can't wait to test this when ready. Already enjoy using ur KomodoX skin actually! Keep the great work! This looks wonderful. 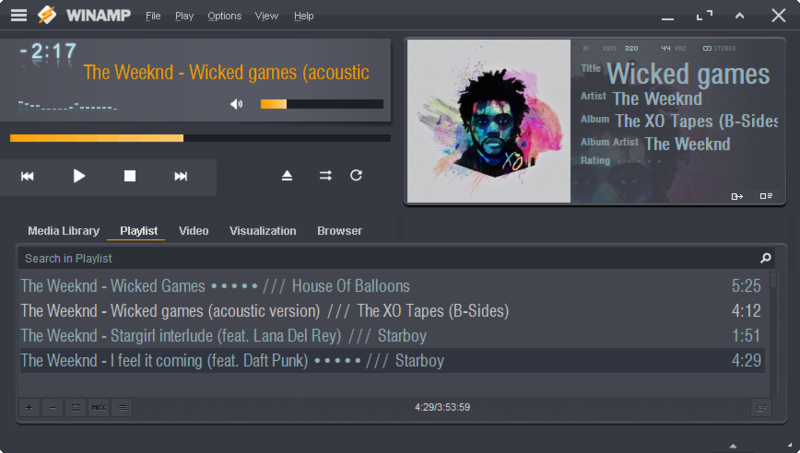 Really gives Winamp some sort of modern makeover. Thanks guys. I'm currently stucked with this one (several scripts are too tied in with each other..), but I'll eventually nail it.. I like breakfast, sci-fi, and video games. Both of these skins look pretty fantastic. Thanks for your hard work! I can't wait to try them out.